First ever Bike Adventure Spring Ride a huge success! 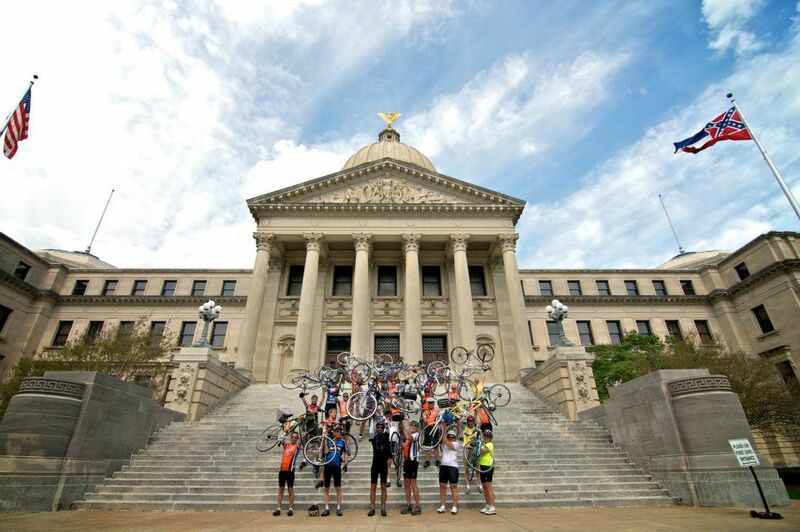 The Fuller Center Bicycle Adventure’s first-ever Spring Ride concluded Saturday in Jackson, Miss., after a 400-mile ride down the Natchez Trace Parkway that began in Nashville, Tenn. The ride garnered media attention from newspapers, online sites and TV stations; it built new friendships with churches and people along the route; and it raised more than $30,000 to fight poverty housing, much of that designated to help the Democratic Republic of the Congo, which is plagued by poverty and political unrest. It’s also where Fuller Center founder Millard Fuller launched the affordable housing movement nearly 40 years ago when it was then known as Zaire. “There’s a story that’s not being told in that $30,000 number,” said Ryan Iafigliola, who founded the Bicycle Adventure and was able to join the team for most of the trek down the Trace. “There are now 16 new people who are involved with us after riding, and already two of them have signed up to lead a trip to Haiti and sponsor two houses. So that’s not even included in Bike Adventure money. “The snowball grows,” the Fuller Center’s director of international field operations said with a smile. That’s just one of the positive ripple effects of the ride that Iafigliola founded and handed off to Allen Slabaugh to lead in 2011. Slabaugh, who also leads The Fuller Center’s busy Student Builders program, took a very brief break from cleaning up the Bicycle Adventure’s trailer to chat about this year’s spring ride before getting back to work planning the Summer Rides, one down the East Coast and one down the West Coast. 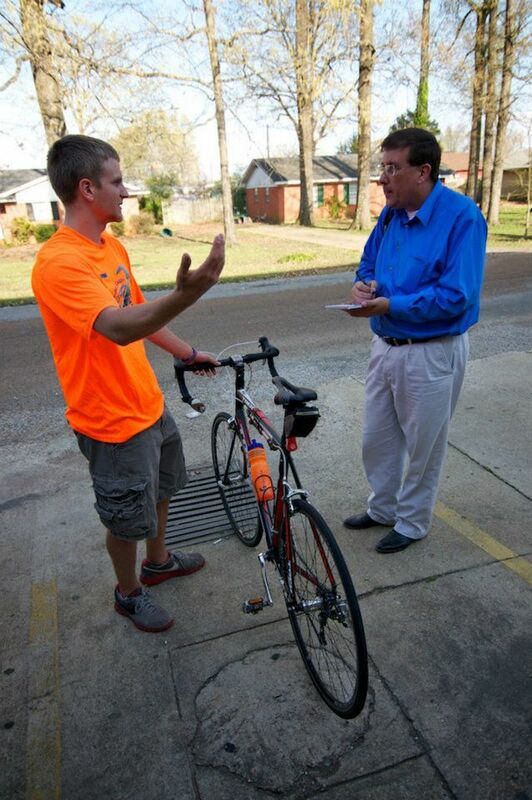 Tell us about the Natchez Trace purely from a cyclist’s view. It was everything that I’d read about. It was beautiful. There was very little traffic and nice pavement. The trees were in bloom as we got further south. It was just an absolutely beautiful, great ride. The beginning is a little hilly; we got some good up-and-downs. As you get farther south, it smooths out a little bit. It was a great ride. It’s a beautiful, perfect ride for anybody who’s a cyclist. What were the major accomplishments of the ride? We were able to raise over $30,000. We were able to work on five homes in Yalobusha County with The Fuller Center there. We were able to make some great church connections with the churches we stayed at. The church hosts were fantastic. So we were able to get to know them a little bit. We were able to involve 26 riders, and 16 of them were new riders, so we’ve got 16 new Fuller Center friends who will help us spread the word even more. We also had a good connection with Tougaloo College when we had the closing reception there. We did a great job of raising money and spreading awareness and were able to get out and build a little bit, too. And because Aaron’s stepped to the plate to sponsor the ride with a $5,000 donation, all the money raised can go directly to fighting poverty housing. What was the general reaction along the Trace of people you met that didn’t previously know about The Fuller Center for Housing? They definitely really liked our work. They liked the whole idea behind it — the no profit made, no interest charged, and that it’s not a handout and you have to pay back into it and perform sweat equity. People loved what we were doing and what The Fuller Center does. And they also liked what the Bike Adventure is doing to get out there and spread the word. What are the prospects for a future spring ride? For the future, I think we’re leaning toward doing it again. It’d be great to make this an annual event because, like I said, the churches were fantastic. They told me they’d love to have us back. Yalobusha County would love to have us back. Tougaloo College would love to have us back. So the prospects look great for another spring ride. 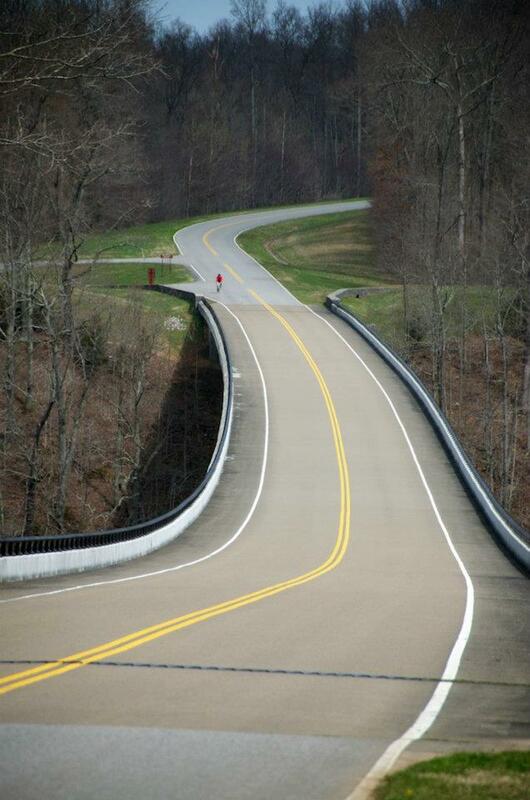 And the Natchez Trace is a beautiful ride and something that I’d love to do again. How’s the summer Bicycle Adventure shaping up? It’s shaping up well. On the West Coast, it looks like we have like 24 whole-way riders and a handful of segment riders so far, and on the East Coast we’re up to about 14 whole-way riders and about 13 segment riders. So we’ve got a good number of people already. Having a lot of whole-way riders is fantastic. And the segment ridership is looking good. We just have to keep finding church hosts and get everything else planned. But it looks like it’s going to be a great ride. See photos, videos and more on the Bicycle Adventure’s Facebook page! Join the Bicycle Adventure this summer; have a blast while helping others!